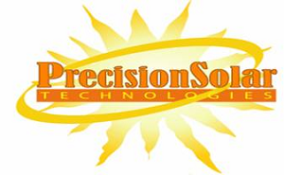 Precision Solar Technologies Corporation (PSTC) designs, manufactures, and supports solar tracking solutions using the SolarTrak™ control technology, originally developed at Sandia National Laboratories, New Mexico. The SolarTrak supports both direct sun tracking, in four different physical geometries, and reflecting heliostats for central receiver and interior daylighting applications. We have several hundred industrial, scientific, commercial, and residential control systems worldwide in over 25 countries. 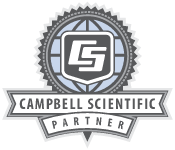 Since 2005, we have integrated the Campbell Scientific CR1000 datalogger into our Prospector Solar Weather Station series as a valuable component for gathering data and monitoring the operation of the tracking controller easily through the Internet. This electronic collaboration has since been expanded to include automated solar panel testing procedures such as Angle-Of-Incidence step-wise scans, coordinated with the SolarTrak controller, and synchronized I-V curve traces ordered from a DaySTAR I-V curve tracer through a CR1000 communications port, all the while communicating with a nearby Prospector for synchronized meteorological data through TCP/ModBus. This monitoring functionality is easily extended to monitor producing solar fields using SolarTrak controllers by the inclusion of a Prospector unit as a gateway to the SolarTrak fiber-optic control network. Portable solar weather station and testbed systems are now being implemented using the Prospector Mule™ series trailers. PSTC also supports custom tracking control solutions, testbed design input, and solar testing and research efforts.